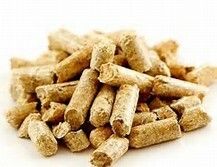 Now more and more people are using the feed pellet machine to make feed pellets. During the processing, we may meet different problems about abnormal pelletizing. What causes them and how to solve them? We might not know. The following is the common problems, causes and solutions. Shall we study together? Surface of feed pellet is light, but its inside is dry and hard. The moisture of feed after conditioning through the feed pellet mill is too low. Raw material contains high fat content. Shape of pellet is like a pine tree. ◆Reduce the speed of feeder. Pellet cracks on one side. The density of pellets is low. Shearing of pellet occurred much more than cutting. ◆Increase the gelatinization of feed in conditioner. Shape of pellet is like blocks. ●There is water in steam that suddenly evaporates after coming out from die. Pellet cracks lengthwise after cooling. Raw material is of low density and high fiber. Because of the low moisture absorption ability of rough raw material, pellet crack. ●More returned dust from grading sieve. ◆Check leak of grading sieve. Mash contains high fiber that well absorbs moisture, when coming out of die the pressure changes rapidly. The fiber in pellet will suddenly expand.